Trafigura, the Dutch oil company which is among the largest sellers of Rosneft crude oil, could co-own the Indian Essar oil refinery at Vadinar, reports suggest. Dutch oil trader Trafigura, one of the largest sellers of Rosneft crude, could become a partner in Essar Oil, which owns the second largest refinery in India. Rosneft plans to buy 49% of Essar shares. Bloomberg News, citing informed sources, reports that Trafigura is now discussing the purchase of 15 to 30% in Essar Oil. Billionaire brothers Shashi and Ravi Ruia, owners of the Indian oil company, are planning to reach an agreement with Trafigura in August, said Bloomberg representatives. As part of the transaction, Trafigura may also get a share in Essar Oil owned service stations (joining more than 2,000 gasoline stations), as well as a power station and a share in the Vadinar port. 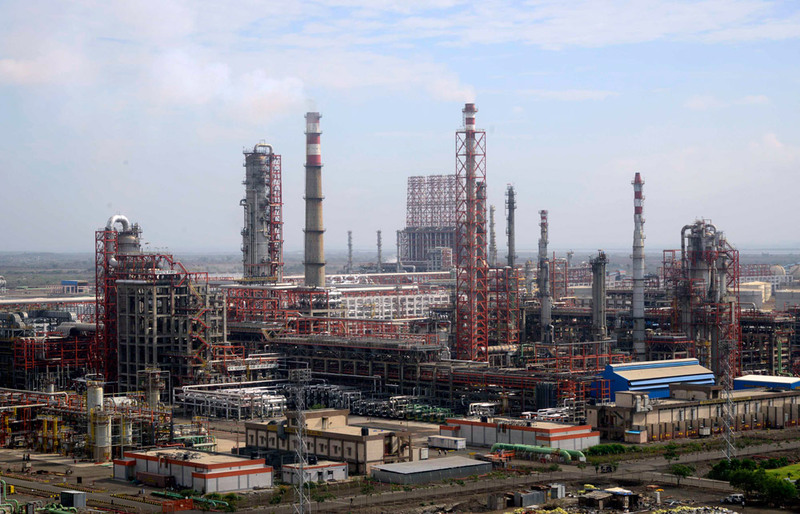 Essar India’s Vadinar Oil Refinery is the second largest refinery in India, in processing volumes, with a capacity of 20 million tons per year. According to the Bloomberg sources, the Ruia brothers are selling shares in Esssar Oil to repay the bank loans. Trafigura is closely working with Rosneft. It became the second largest foreign buyer of Rosneft oil in 2015, (after the Chinese CNPC). If negotiations with Essar Oil are successful, Trafigura could become a partner in the Indian market. Rosneft signed a non-binding agreement in July 2015 to purchase 49% of Essar Oil and, in March 2016, during working visit of the Rosneft President Igor Sechin to Mumbai, "full understanding" about the conditions, the timing and the structure of the transaction was reached. It was then planned that the transaction would be completed before the end of June, "subject to the receipt of all the necessary corporate and regulatory approvals." Sechin, in an interview with "Russia 24" on June 21 said that the transaction would be completed by October. Bloomberg sources estimate the deal at $ 3 billion. In early June 2016, Pavel Fedorov, Vice-President of Rosneft, said during a conference call with investors that the company was looking for investment opportunities in oil refining in India, primarily to ensure the synergy of supply and refining. A year ago, in July 2015, Essar Oil and Rosneft signed a contract for the supply of 100 million tons of crude oil to Essar Oil refineries for ten years. Supplies should begin this year. Trafigura is not the only potential partner of Rosneft in the Indian refinery. The world's largest oil company, the Saudi government’s Aramco and the Swiss-Dutch trader Vitol has also laid a claim for a share in Essar Oil, The Economic Times reported. First published in Russian by RBC.